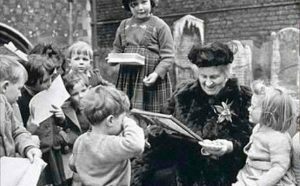 To guide its development and application in the interests of all children. From its international headquarters in Amsterdam, the Netherlands, A.M.I. 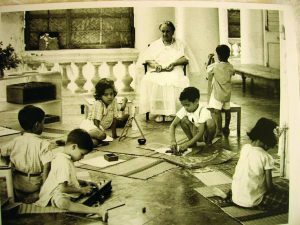 functions as the source of Montessori training, according to Dr. Montessori’s principles, as well as a center for continuing research and development. A.M.I. teacher training is unique and the program is respected worldwide. 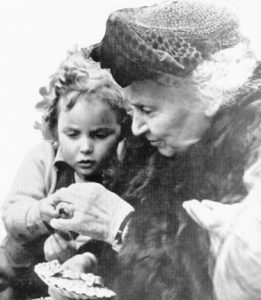 Many of the course trainers have studied with Dr. Montessori or her son and collaborate, Mario Montessori. No more than one aide in each primary class. Schools must apply annually for A.M.I. recognition. A school will receive a certificate only if they meet the rigorous criteria outlined above. This insures that each A.M.I. accredited institution adheres to and maintains the highest standards for Montessori education. The Montessori Children’s House of Hyde Park is proud to be one of only 5 A.M.I. institutions in the entire state of Florida. N.A.M.T.A. is an affiliate organization of A.M.I. For 40 years, N.A.M.T.A. has provided schools and teachers with expertise and vital services geared towards the highest standard of education. We work very hard in maintaining the highest standards and take pride in our accreditations.